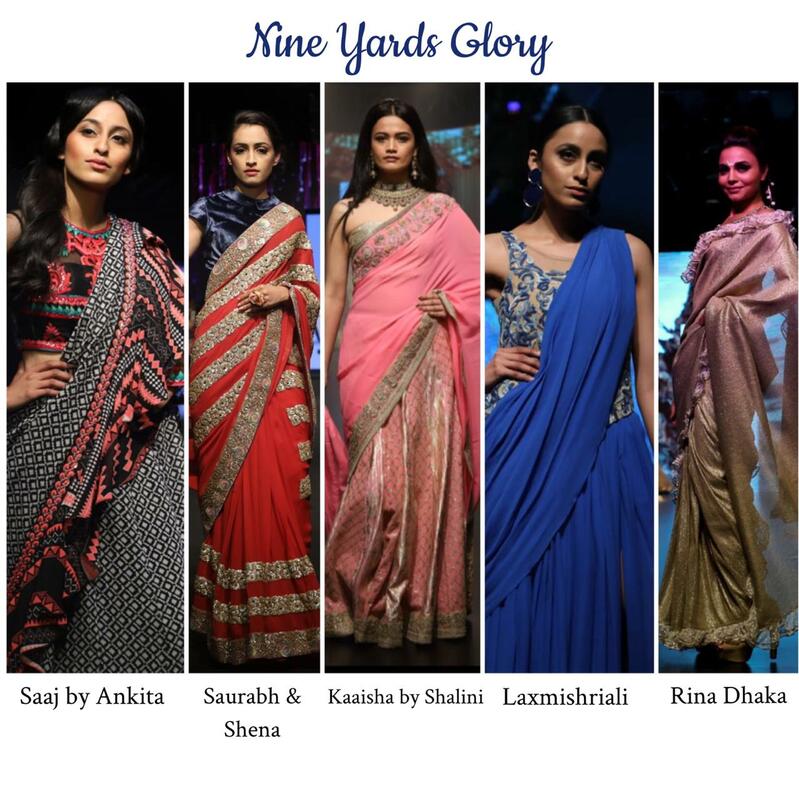 Each season the fashion police shares number of fashion trends right from the runway, this season is also equally trendy as we saw the collections at India Runway Week Season 11 which was recently concluded at DLF Place Saket, New Delhi from 29th-31st March. The summer trends are A must have which are equally chic and ready to wear. Saaj by Ankita’s collection made you dive into an eclectic quirky inner-kingdom of a girl. We all have that sacred place deep inside our conscious where we feel like it is our heaven, our place of inner-peace. It is the core around which the personality is shaped. Inspiration of this collection arises from this very ‘nucleus’ and was mirrored into a collection of beautiful ensembles. The true spirit which is alive, joyous, cheerful and edgy is reflected in the eclectic use of colour, structure and motifs. Raegun by Kamran Patel where he showcased the work from the region of Ajrakhpur, Kutch mastered by only one community “the Khatris” The meticulously handcrafted block printed designs were blended with sharp cuts, straight and flowy silhouettes. 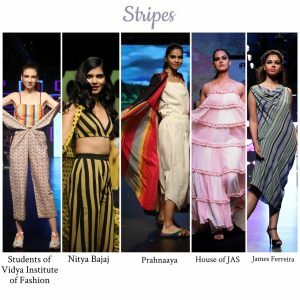 The other designer in the same show was Nitya Bajaj showcased Summer Resort 2019 collection named SPOT which arrived with its utmost vibrancy.Exploring the vivid palette of Ochre Yellow, Lilac, Fuchsia and Aquamarine, the collection is fun, Flirty and fresh . 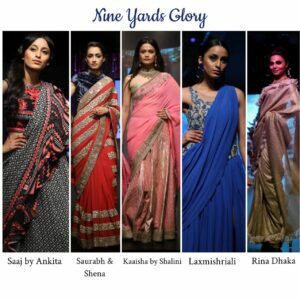 Prahnaaya by Preeti’s collection was vibrant yet equally classy with drapes and flowy fabric. Madhulika Mehta showcased a range pastels to die for. Tvam by Mehak’s Runway Bride was a fun summer collection which was equally a fit for nice evening dressing needs too. 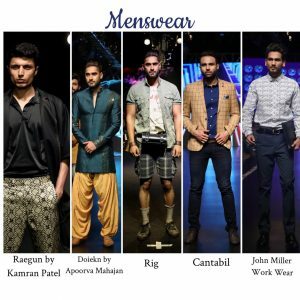 To sum it up, few trends that were spotted are PASTELS, STRIPES, CHIC AND CASUAL, NINE YARDS SUMMER GLORY and SOME FUN MENSWEAR by RIG UTILITY CLOTHING, CANTABIL AND JOHN MILLER.